Vimarn Samut Resort is conveniently located on the sunset side of the Had Rin peninsula on the vibrant south coast of Koh Phangan. It is just ten minutes walk from the main party beach of Had Rin, so you are never far from the action; yet far enough away to ensure that your stay is both peaceful and enjoyable. 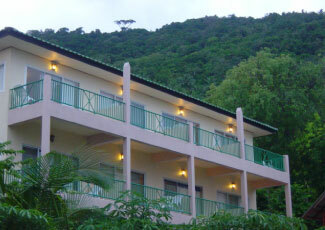 The resort is less than two years old and all the buildings are well maintained, finished to high standards and set amongst beautifully landscaped gardens with picturesque winding streams and water features. 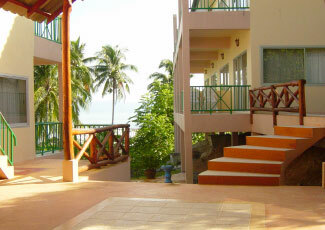 The resort is positioned right on the white sand beachfront and has wonderful sunset views over the neighbouring islands. 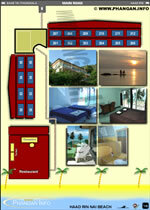 Enjoy Paradise â€“ Enjoy Vimarn Samut. Had Rin Nai (west) is one of three white sand beaches that lie on the west coast of the Had Rin peninsula. Here the occasional mangrove populates the coastline and the beaches take on a dreamy deserted feel, perfect for secluded sunbathing and sunset strolls. Tall coconut palms lean into the tranquil bay that is protected by the live coral reef, where divers and snorkellers find a wonderful variety of sea life and mesmerising corals. 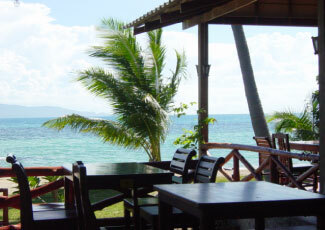 Had Rin Nai is far quieter than its counter part, with no clubs, just a few chilled beach bars and plenty of great places to eat. It is also in a great position to explore the other beaches on the Had Rin Peninsula; with the long bays of Ao Bangson, Ao Hin-Lor and Had Seekantang all on the sunset west coast; and of course Had Rin Nok â€“ the Mecca for sunbathers, beach-sports and beach bars just five minutes walk away on the east coast. 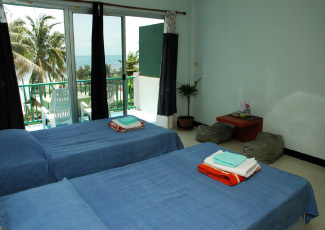 The accommodation at Vimarn Samut Resort is built and finished to very high standards with a total of twenty recently constructed rooms; all with air conditioning, hot water and sunset sea views. The emphasis is on quality and style and every effort has been made to ensure the rooms are comfortable, clean, quiet and a pleasure to be in. 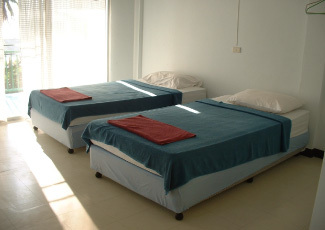 There is a choice of two standard air-con rooms, with either a double or two large single beds. 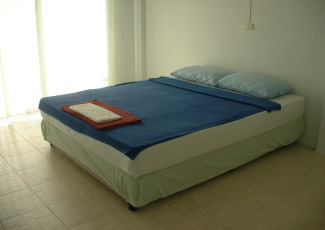 For those that require a bit more luxury, the premium air-con rooms also have DVD and mini-bar. 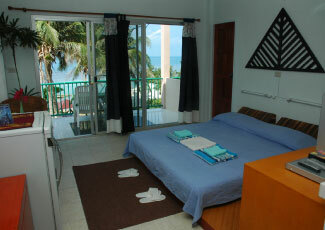 While familiies and groups will find plenty of comfort in the adjoining suite which has 2 rooms. 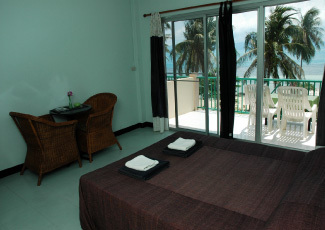 All of the resortâ€™s rooms have western bathrooms and hot water, are fully fitted and furnished and have spacious balconies with sunset views over Koh Samui. The restaurant at Vimarn Samut is right on the beach and has wonderful sea views, serving everything from traditional Thai food to European specialities. There is a wide choice of seafood, salads and Mediterranean foods and the experienced chef and staff always provide a friendly clean and professional service. If youâ€™re looking to eat out, the area that surrounds Had Rin Nai has become somewhat of a bohemian village with a great variety of craft, art and boutique shops and a host of different restaurants to choose from. Thereâ€™s Indian, Israeli or Italian, European, Euro-Asian, Mediterranean and loads more â€“ and then there is all the different Thai restaurants, ranging from the traditional noodle stand to speciality Southern Thai seafood restaurants. There are also a few chilled bars that are great places to escape the masses on the other side of town.